This paint trend is centuries old. The only singular consensus on limewash is that there is no singular way to use it. One of the most versatile, environmentally friendly, and charming paint types, limewash has been around for hundreds of years. Chances are that even if you weren’t sure what it was called, you’ve seen it—and maybe even saved it to a Pinterest board or Instagram folder. Limewash’s chalky, organic texture makes it a mainstay of rustic design. 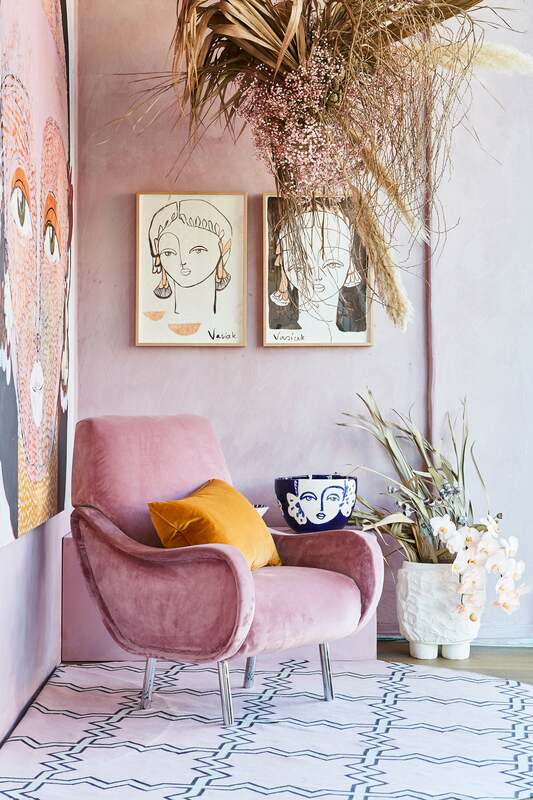 It’s in old Italian villas and charm-ridden French country homes; it’s coating the facade of Greek island homes and brick walls in the trendiest NYC lofts. A great budget alternative to the plaster look, limewash is the perfect solution to anyone lamenting their uber-modern home. It’ll instantly infuse old-school charm into any space. That said, given that it’s not quite the same as regular paint, the idea of limewashing your home can be a little daunting, so we tapped four experts to get the lowdown on this classic look. Limewash is essentially a lime-based finish. It’s created from crushed limestone that’s been mixed with water and then further diluted so it has a thin, milk-like look. Contrary to popular belief, it’s not a style of painting—it’s a whole different type of paint. The good news is that it’s actually a more environmentally friendly type of paint than your average product. Limewash is most frequently found in a sheer white hue, though several companies make pigmented paints as well. If you have a favorite color of regular paint you want to zhuzh up, Jolie Paint CEO Lisa Rickert recommends opting for a more translucent wash to layer over the regular variety. While most people in the US will recognize limewash from white-painted bricks, it’s a lot more versatile than you might think. It can be applied both to exterior and interior walls—though, fair warning, the material of the wall in question is important to consider. “Traditional lime paints could only be used on raw masonry surfaces, like plaster, cement, stucco, and brick,” says Jamie Davis, cofounder of Portola Paints. Since most interior spaces don’t feature any of those materials in abundance, Davis says renters and homeowners wanting to give their living rooms a revamp will need to use a primer on nonporous spaces. Portola’s primer is made specifically for limewash. Once you have your primer, you’re good to go. Use limewash in your living room to bring a luxe feel to your most-frequented space or try it in a powder room to add depth to a smaller, generally overlooked part of the home. Apply your primer coat, which can be done using a regular paint roller. Using a five-inch box brush, start at the top corner of your wall and work your way down, cutting in as you go. Use a criss-cross “X” pattern to create natural texture; don’t go over the same spot twice. Let it dry completely—don’t panic at the initial color, as limewash looks darker when it’s wet. Paint a second coat over the top, repeating the same “X” pattern. What colors should you buy? An orangey terra-cotta hue feels like a natural fit for this rustic paint style. Create a calming space with textured walls coated in pale aqua. This shade would look gorgeous in a bedroom, paired against neutral decor and furniture to really drive home that coveted zen vibe. A far cry from the purportedly trending Ultra Violet, this subdued shade of purple offers just a hint of color. If you want to make a statement, go bold with a deep teal hue. For those who love the drama of an all-black room but aren’t quite ready to go that dramatic, this color is a great stepping stone. Rosy pink is anything but sticky sweet. You might imagine this saturated color dressing up the walls of a chic Italian bed and breakfast. Try it out at home in your dining room for an unexpected twist. Confine this statement-making hue to a small space, like your entryway, to really make an impact.